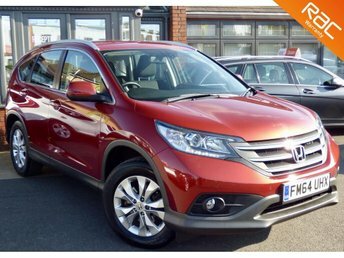 At Bournemouth Cars, we stock a varied range of makes and models, including Honda. If you are looking for an SUV, a used Honda CR-V or HR-V could be an excellent option. Alternatively, the Civic is one of the best hatchbacks on the market at present, having won awards for its design. The team at Bournemouth Cars have years of experience in the industry, and if you need any help choosing the right car for you, we would be happy to share our knowledge. With high-quality used Honda cars for sale in Bournemouth, we are confident that we can help you find what you are looking for. If you want to buy your next motor on finance, we have access to some of the best rates and you can apply for a free quote online. Get an unbeatable deal on a used Honda car in Bournemouth today!